The Senate President, Dr. Abubakar Bukola Saraki and the Speaker, House of Representatives, Rt. Hon. Yakubu Dogara have described as “a desecration of the legislative sanctity”, the on-going situation in Benue State in which eight out of the 30 members of the State House of Assembly, with the support of the police, have commenced impeachment process against Governor Samuel Ortom while 22 other members are kept away from the Assembly complex. The National Assembly presiding officers said, “We have monitored closely the development in Benue State in which the impeached Speaker, Terkimbir Ikyange led seven other members to serve impeachment notice on Gov. Samuel Ortom while the 22 other members who constitute more than two-third majority have been prevented from having access to the chamber. “We believe this is illegality and does not conform to parliamentary procedure on impeachment. Saraki and Dogara said also noted that the crisis in Benue State House of Assembly has grave implication for the nation’s democracy and represents a throw-back to the period of dictatorship in Nigeria, showing how the Nigeria Police are being misused to achieve political end. The statement noted with dismay, a recent statement in which the Presidency derisively referred to an era in the past where a minority number of legislators was used to impeach Governors who were unfriendly with the Federal Government. “What we are seeing in Benue now is a return to that inglorious era,” the statement said. It added that the “unlawful and unconstitutional move to impeach Governor Samuel Ortom by a minority” should be condemned by all lovers of democracy, at home and abroad. Saraki and Dogara called on President Muhammadu Buhari to call the police to order and prevent a break-down of law and order. They also called on friends of Nigeria in the international community to lend their voice against the perpetration of illegalities and actions that can subvert the country’s democracy. They equally noted that there is already a tense atmosphere in Benue State following the recent killings, and therefore condemned any action or move likely to exacerbate the security situation in the North Central State. 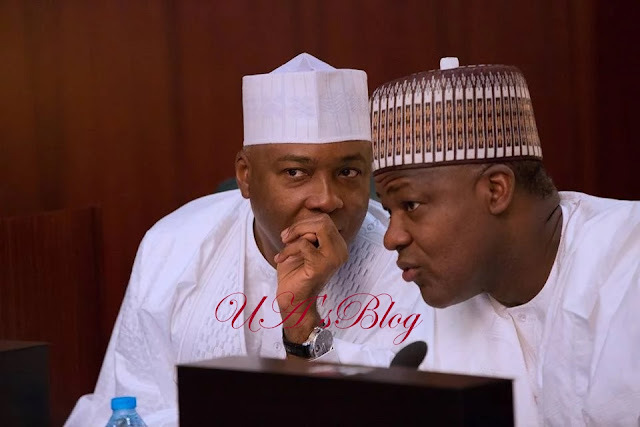 “As leaders of the Federal legislature, we are ready to work with our colleagues in both chambers of the National Assembly to prevent any attempt to destroy any state legislature or use it to derail democracy,” Saraki and Dogara submitted.